I’m going to be honest. I actually have no idea what this beer even tasted like. The reason is that my taste buds were being completely distracted at the time by THE BEST YUM CHA I EVER ATE! Followers of my first ever blog (ie mum) will know that Yum Cha is something that I love dearly (at the time) and also loathe deeply (afterwards), and then love dearly again once I forget how sick I felt. 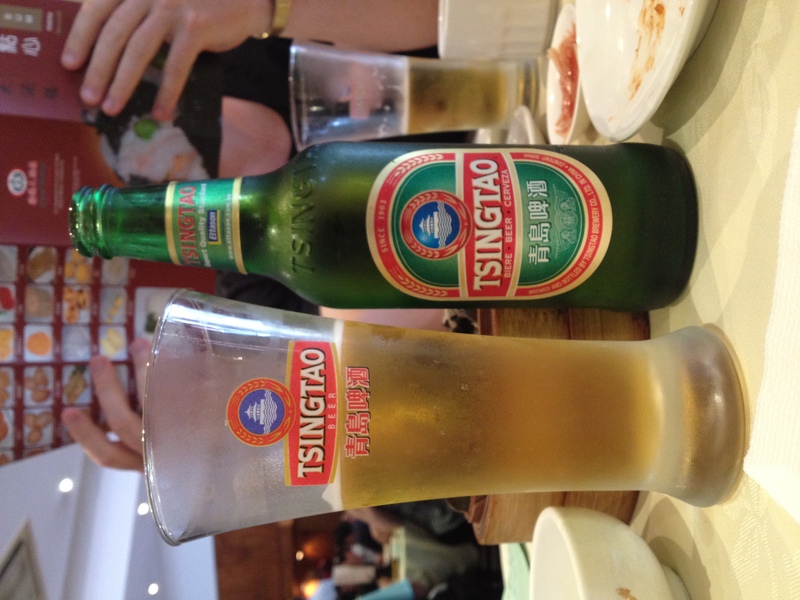 So I wish I could tell you about this Tsingtao – but after being subjected to a blitzkreig of pork buns, roast duck, chicken wings, more pork buns, coconut jelly, custard buns (and repeat), my tastebuds were too excited and exhausted to even notice it. It was merely a tool for washing food down so that more could go in. But you know, it was a lager…. It probably just tasted like all of these.